When we moved to our current home six years ago, all our furniture and major appliances were brand new. The main considerations for choosing the pieces we bought were durability and long-term savings, even if it means spending a little more. My husband and I believe in investing in the right appliances for our home so we can save on maintenance and cost of utilities in the long run. At that time of our move, the inverter technology was the sought-after energy-efficiency feature being introduced in selected aircon and refrigerator models. These are the most used and high-energy-consuming must-have appliances in our home, aside from the television, heehee. =) There were only a handful of brands offering inverter types then, and one of them is Electrolux. We eventually decided to buy this 2-door, 18cu. 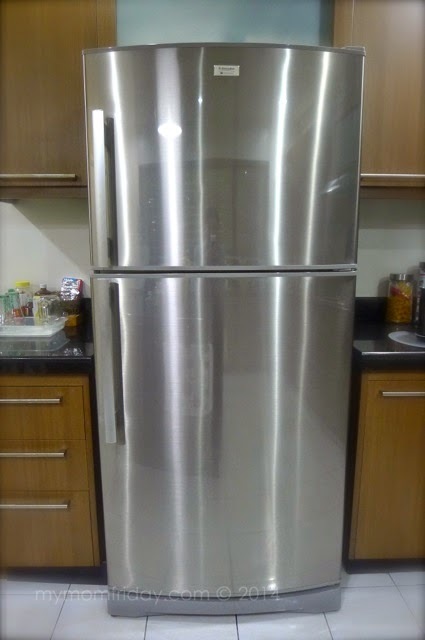 Electrolux refrigerator, which fits perfectly in our kitchen. It's the ideal size and capacity for our space and needs, and to this day, we have not encountered any problems with it. Electrolux has been a trusted brand in home appliances, so no doubt in its quality. What amazed us even more was the savings in our monthly electric bill. You see, when we were renting a townhouse half the size of our current house, our electrical consumption is close to what we consume now. The conventional appliances literally eats up more energy/electricity compared with our new inverter-type ref and aircon units! Our electric bill then and now is almost the same, even if we are in a bigger place using more appliances. We also contemplated on getting a washer/dryer then, or at least a dryer, since we don't have enough space to hang-dry the laundry. Well, we are still holding off on getting one, but I have my eyes on this handsome looking Electrolux Time Manager Washer and Dryer. I've heard positive feedback about their washers so I'm happy that the brand tapped me to share their amazing fabric care line here on the blog. They have several models to choose from depending on your needs. This top of the line front loading washer-dryer unit doesn't come cheap at PhP50K+. So for now, it's on my wish list! 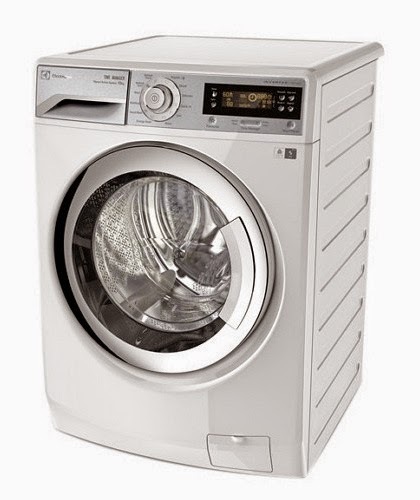 Check the full features and specs of this front load washer/dryer EWW14012 model here. 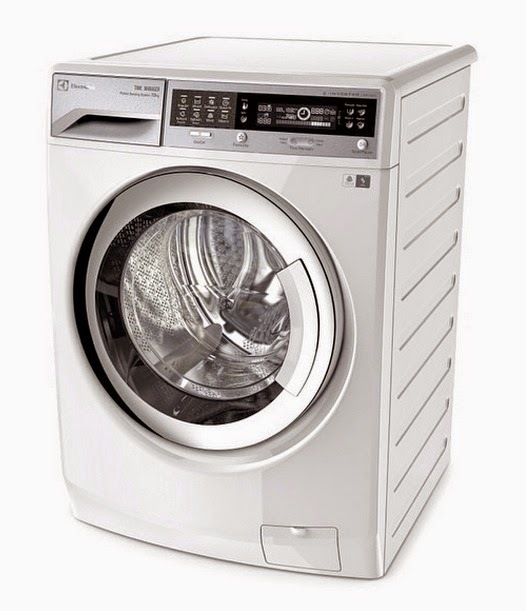 Here's another model, a 10kg front load washing machine, EWF12022. Watch this short video to see how an inverter motor works in a washing machine. Again, I wanna stress on the benefits of long term savings from choosing and investing in the right energy-efficient appliances for your home. Buy the best you can afford. For more info on Electrolux washing machines and promos, visit facebook.com/thelittlewhitebook. Follow @ElectroluxPH on Twitter and Instagram. On a side note, beyond their premium line of washing machines, there's more to love about Electrolux. I'd like to tell you about their Delightful-E Simple to Share annual clothes donation drive. Electrolux aims to collect, and then wash your donated pre-loved clothes for calamity-stricken survivors. Also, in partnership with Gawad Kalinga’s Trese, unusable donated clothes will be transformed into quilts for newborns from orphanages and other communities. This is sharing beyond donating clothes. “Through Delightful-E Simple, we hope to mark the difference between giving and sharing. For when we share, we freely impart a piece of ourselves—our time, effort, and concern. Hence, we are able to give more,” explains Andrea Pionilla, Marketing Manager of Electrolux Philippines.